i love the pacific northwest. there’s just something romantic about it, whether it’s the weather or just the vibe. i know the rain must be weary but i know two very happy people who hail from this small village. i'll let marcy give you the low down. a trip to gig harbor, washington in the summertime will guarantee you three things: a newfound appreciation for trees, probably a sunburn, and a yearning to come back again and again. 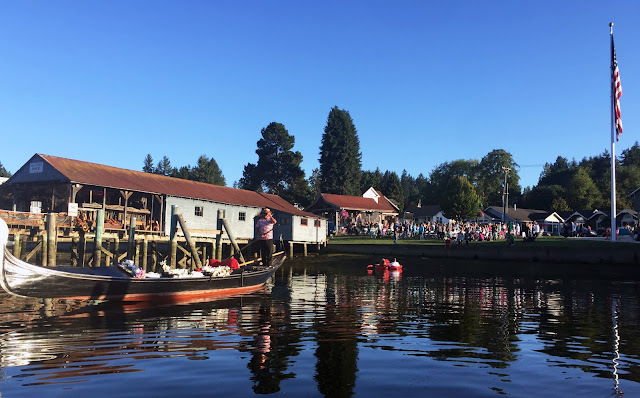 located just an hour south of seattle, gig harbor, washington is a town of fascinating maritime history and an up-and-coming destination for food, shopping, weekend travel, and year-round living. just recently, coastal living named gig harbor "one of the 10 best harbors in america," praising its preservation of quaint rustic roots and bounty modern of activities. gig harbor has many layers. at first glance lies "harbor life" with boats, fishing, seafood -- everything one can imagine a small town being like. however, below the surface there is a lot more going on in "the gig" that meets the eye. 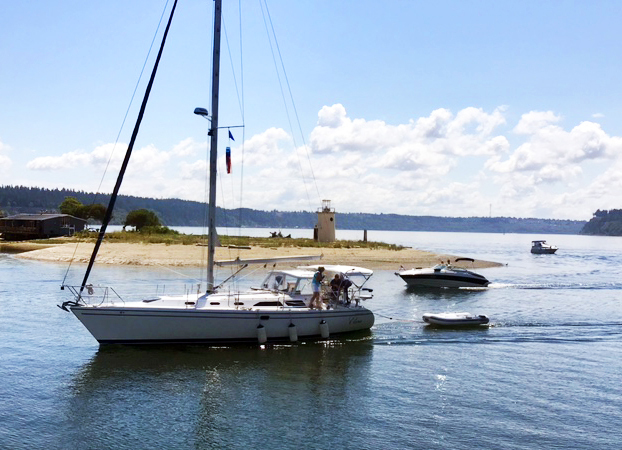 beyond the historic downtown, gig harbor boasts neighborhoods, golf courses, shopping, hikes... the list goes on and on. in full confession, i grew up in this town so i am slightly bias on gig harbor's greatness. although i've since moved away, i keep finding myself coming back to enjoy everything it has to offer. 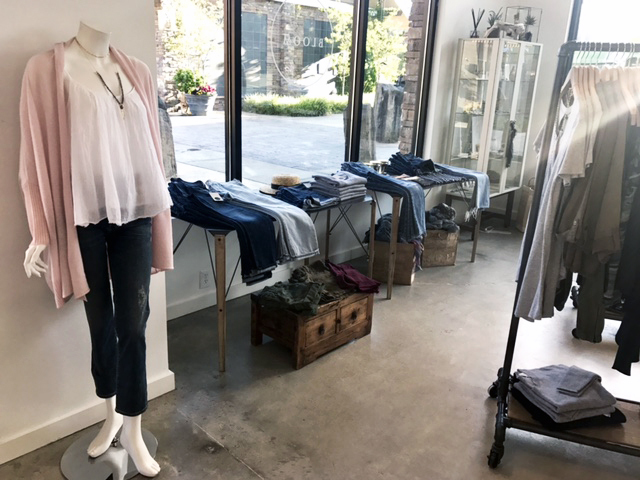 here are a few of my all-time favorite destinations for shopping, eating, and doing while visiting gig harbor. rent kayaks or paddle boards ~ there's no better way to see the harbor! explore tiny inlets of the protected bay or if you're feeling brave, travel beyond the lighthouse into the puget sound to really get a feel for the pacific northwest. catch an outdoor movie or concert in the park ~ almost every summer weekend there's an event happening downtown. bring a blanket to sit outside for live music or snuggle up in the park for weekly outdoor movies. visit the beach at sunset ~ it may not be california, but the rocky beaches of gig harbor are great for watching a sunset and spotting the occasional whale during the right season. drive down to narrows park for a great vantage point of the twin bridges or venture across to point ruston for a view of the sound. markee coffee ~ a local hangout both morning and night, markee has great coffee, snacks, and live entertainment. the harbor general store ~ my favorite place to go for a quick snack, cold drink, and the only place in town with acai bowls! netshed no. 9 ~ if you're more of a foodie, netshed no. 9 is a great place for brunch. be sure to try the tomato jelly! kelly's ~ a longtime harbor staple, kelly's is known for its old-school american breakfast. come hungry and plan to leave very full. the tides tavern ~ did you really go to gig harbor if you didn't go to the tides? moctezuma's ~ the absolute best mexican food and happy hour. brix 25 ~ small and intimate, brix is great for special occasions or finishing off your trip in style. green house ~ my personal favorite, green house does "northwest" food justice with delicious local fish and year-round comfort food. 7 seas brewery ~ 7 seas has made quite a name for itself with its local brews and gig harbor is home to its exclusive taproom. come here in the afternoon to enjoy the outdoor patio and a cold drink. heritage distilling company ~ with seasonal creations and clever labels celebrating the pacific northwest, these spirits make for great souvenirs. come to taste a sip or take home a bottle. 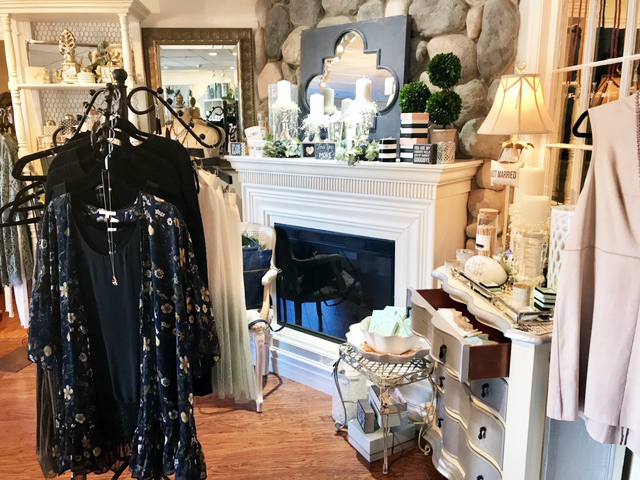 dolly mama boutique & dolly mama too ~ whether you're just browsing, looking for a gift, or searching for a complete new outfit, dolly mama boutique and it's newest counterpart, dolly mama too, has everything in stock to make for a successful shopping trip. browse their unique mix of both local and brand-name designers along with canvas art from gig harbor's most popular artists.